Friday, November 9 – Monday, November 12 – Veteran’s Day weekend – All veteran’s and Active Duty Cruise FREE with full-paid Child or Adult ticket. In recognition of Veterans Day, Pure Florida is honoring members of the U.S. military by offering free cruises from Friday, Nov. 9 through Sunday, Nov. 12 for veterans and active duty service members when accompanied by paid adult or child admission. 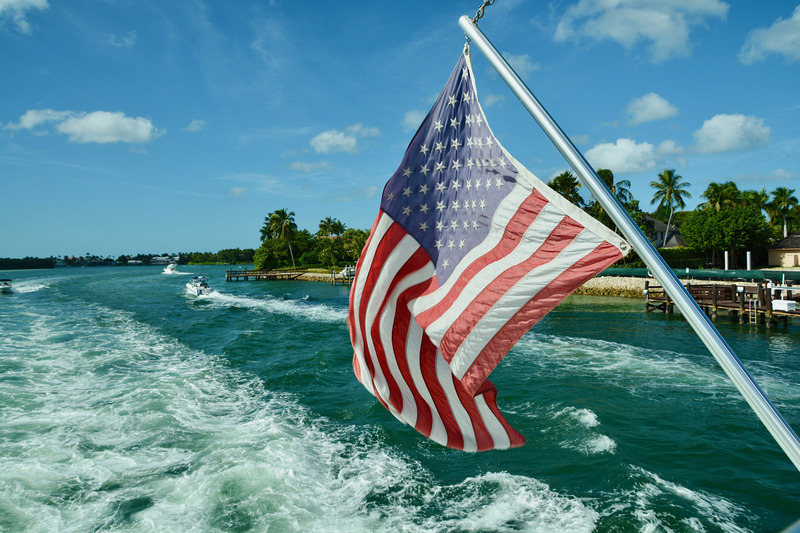 The Veterans Day weekend cruises will set sail from Pure Florida’s Naples and Fort Myers locations. In Naples, sightseeing cruises aboard the M/V Double Sunshine depart at noon and 2 p.m., with sunset cruises departing at 4:30 p.m. Pure Florida sightseeing cruises are available in Naples for $39 per passenger for adults and $19.50 per passenger for children. Sunset cruises in Naples are available for $42 for adults and $21 for children. In Fort Myers, sightseeing cruises aboard the M/V Edison Explorer depart at noon and 2:30 p.m., with sunset cruises departing at 4:30 p.m. In Fort Myers, sightseeing cruises are $32.50 per passenger for adults and $16 per passenger for children. Sunset cruises in Fort Myers are available for $35 for adults and $17.50 for children. Narration on local history, wildlife and ecology is provided by Coast Guard-certified captains, also master naturalists. Passengers cruising from Pure Florida’s Naples location will sail the Gordon River aboard the M/V Double Sunshine, and guests visiting Pure Florida’s Fort Myers location will cruise the Caloosahatchee River aboard the M/V Edison Explorer. Aboard the vessels, guests are invited to relax and enjoy the natural beauty of Southwest Florida and observe the wildlife native to the region. While Pure Florida cannot guarantee animal sightings in the wild, potential wildlife sightings include dolphins, eagles, manatee, native birds and more. Drinks will be available for purchase on-board the vessels, and snacks will also be available for purchase aboard the M/V Double Sunshine. The M/V Double Sunshine departs from the historic Tin City, located at 1200 Fifth Ave. S. in Naples and the M/V Edison Explorer departs from The Marina at Edison Ford, located at 2360 W. First St. in Fort Myers. Reservations are required. For more information on Pure Florida, or to register for a Veterans Day weekend cruise, call Pure Florida’s reservation team at 239-263-4949, or visit www.PureFL.com.